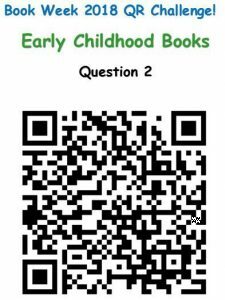 Back by popular demand, the QR Code Short List Treasure Hunt is sure to engage students. 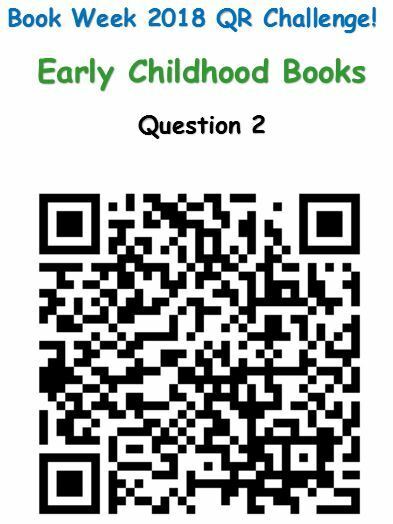 The QR Code Treasure Hunt has a question for each of the Children’s Book Council of Australia (CBCA) Short List books in the Early Childhood, Picture Book and Younger Readers categories. The first fully correct answer sheet drawn from the box wins a prize! Dorling Kindersley. (2017) 100 women who made history. Robinson, F. (2016) Ada‘s ideas: the story of Ada Lovelace, the world’s first computer programmer. Wallmark, L. & Chu, A. (2015) Ada Byron Lovelace and the thinking machine. This video was created using an iMovie template. It features the Deputy Head Mr Krigstein engaged reading Peter Pan. It was played at the K-6 Book Week Assembly and was a huge success. A big thank you to Mr Krigstein for being so obliging. Peter Pan J.M. Barrie, Illustrated by Greg Becks, 1998, ACC Children’s Classics. Peter Pan by J.M. Barrie, 2012, Vintage Classics. A River by Marc Martin, 2015, Viking Penguin, Australia. Inspired by a QR Code Treasure Hunt at EduTECH, with the prize a new car (no I did not win even though I spent time hunting for codes) I have created a Book Week – Escape to Everywhere QR Code Treasure Hunt linked to the Children’s Book Council of Australia (CBCA) Shortlist Younger Readers and Picture Book books. 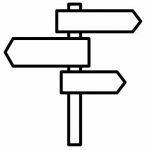 This Treasure Hunt is aimed at Years 3-6 and due to students needing to know a little bit about each book, it would take a few lessons. 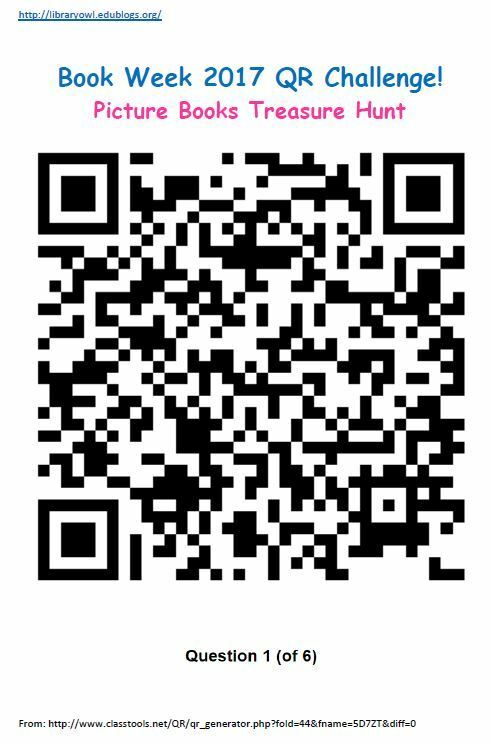 Students will need a QR Code reader to scan the codes. 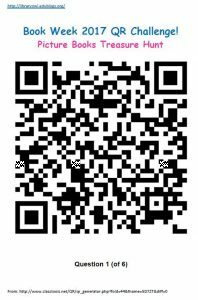 I would like to thank The PE Geek who’s guide How to make a QR Treasure Hunt provided a step by step guide and link to Classtools.net QR Treasure Hunt Generator which enabled me to create this QR Treasure Hunt. The Future Library Congress explored how libraries are progressing in the changing nature of education. Librarians and industry leaders shared expert advice from school, university, museum, and government libraries. Insight into the changing times of libraries, passion for information literacy and literature, the important link to technology through the Maker Movement and tools such as Virtual and Augmented Reality were key features of the presentations. 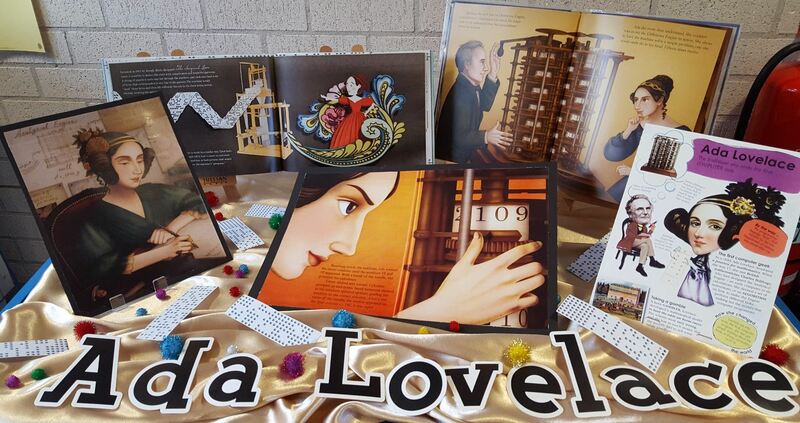 This post highlights key learning specific to school libraries and the role of the teacher librarian. The Congress sessions were opened by Sandra Moore, President, Australian School Library Association (ASLA) who encouraged us to walk away from the Congress with three things learnt, two things confirmed, and one challenge. Sandra reminded us that teacher librarians require curiosity, kindness, stamina and a willingness to look stupid. It was also advised in order to be creative we need to steal ideas from others by way of honouring others work; study; taking ideas from many; crediting; transforming; and remixing. Vickie McDonald, State Librarian and CEO, State Library of Queensland (SLQ), shared her journey through the changing nature of libraries and in particular stories of change at her former position at the State Library of NSW, as well as current change within SLQ. Vickie focused our attention to leading change and the importance of libraries meeting the strategic direction of their organisation. It was noted that key factors of successful leadership of a library include trust, predictability, honesty and fairness, being able to listen and communicate effectively. Vickie stressed the need to be highly visible, update staff and the library community regularly, share highlights, attend as many meetings as possible, meet with small groups to assist connections and engage staff with change. 5C’s of library leadership were highlighted: clarity, communication, clients, collaboration and collections. Vickie’s presentation was inspiring and showcased a selection of engaging images from the SLQ. Jenny Kemp, Leader of Learning, St Andrew’s Cathedral School challenged us to think about what we are offering at our school library, and why does our school need a teacher librarian. Jenny reminded us that a teacher librarian is a complex position and requires a high set of skills. A major strength of the teacher librarian as promoted by Jenny was to teach and guide students with information literacy. 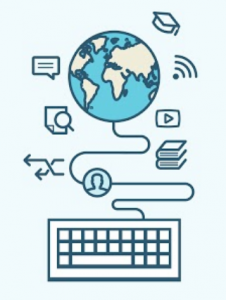 Collaborating and knowledge of teaching programs to find opportunities to tie in information literacy skills was also emphasised, as well as going to classrooms rather than only being seen in the library. I was very pleased to hear Jenny say ‘be the teacher librarian’ a factor that can get mixed up when we are all aiming to do so much. 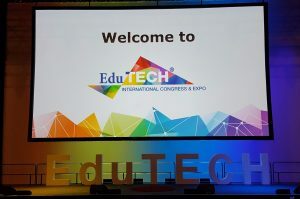 Furthermore, Jenny suggested that ‘explicit teaching has got lost with all the exciting other learning’ a statement I agree with and one that is challenging when there are so many exciting other things to incorporate – particularly when astonished with all the tech at EduTECH. Similar to Vickie McDonald, Jenny promoted understanding the school structure, being involved with faculty planning, promote skills – don’t wait to be invited, ensure you promote a clear vision of what a you can offer, and to reflect on how the library staff are using their time. To finalise her presentation Jenny promoted library space as the third space a place that is very important for a school. 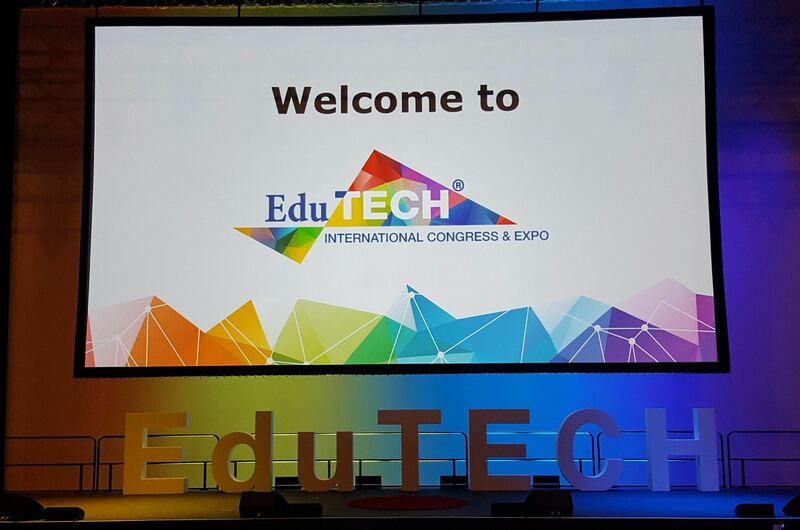 I was fortunate to have attended EduTECH Australia 7-9 June. It was an exciting three day conference and I have come away with so many new ideas and stimulation for the school library. 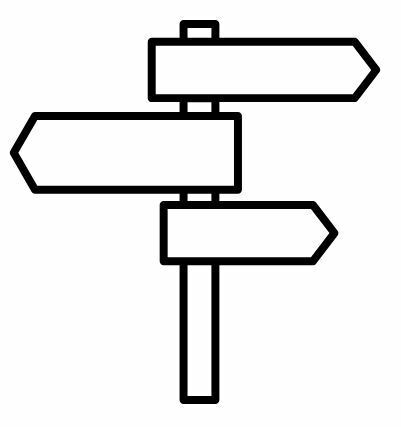 Key aspects introduce new hands-on activities with the Maker Movement, consider and act forward in regard to the changing nature of education and how school libraries are relevant, reflect on information literacy learning, and immerse more deeply into the school. This post focuses on the The Maker Movement. Presenters – Amber Chase @ChaseyA29 and Lisa O’Callaghan @kallicani from Calrossy Anglican School, Tamworth NSW. 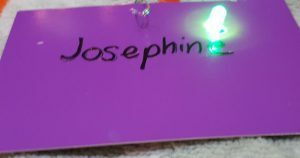 The day kicked off with creative activity – light up your name! 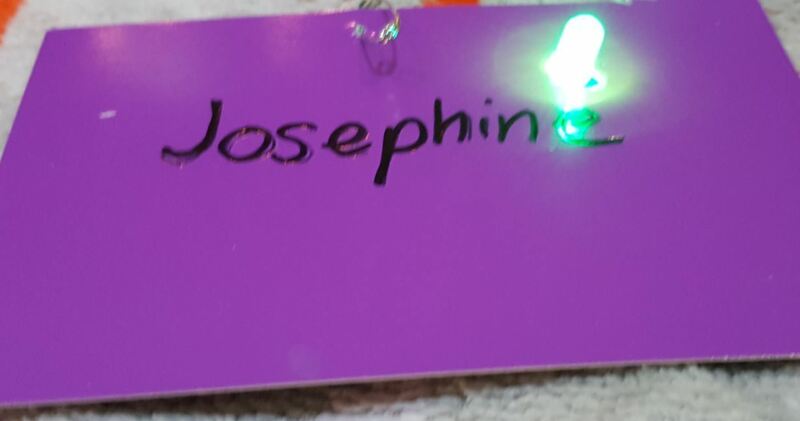 It allowed me to fiddle with little bits, I admit I needed some assistance by helpful teachers but it did work in the end and I was proud to light up my name. The presentation focused on STEM and the Maker Movement – ideas to get Maker happening at your school and participate in Maker Culture. 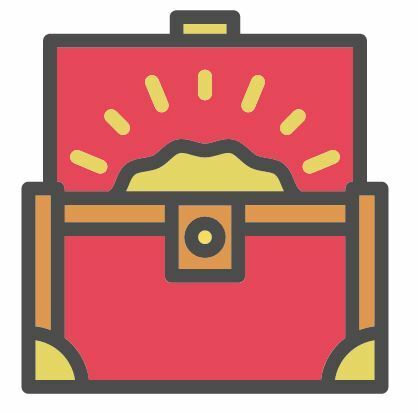 The Maker Movement is creative and promotes confidence in trying new things, it is a mindset that applies various skills, connects all disciplines, encourages innovation, is engaging, hands-on and fun. 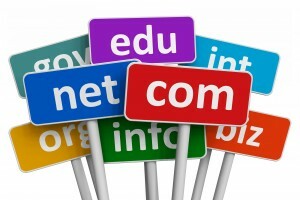 It aligns technology, arts and craft. A segment of The Four Corners program Future Proof was previewed to put the Maker Movement in context of changes in school and work. The masterclass promoted many areas to get ideas from but for big picture information it was advised to visit: NMC Horizon Reports for K-12 Education and Libraries and the Royal Institute of Australia RiAus. Search it! What do you do, what can you do? Search it! 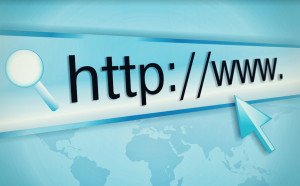 This post is the third in a series of lessons to teach online search skills. When I last taught the lesson the grade were investigating Geography: A Diverse and Connected World so the search task was based on the major export items from Australia to a selection of countries. We looked at a chart from the Oxford Australian Curriculum Atlas Years 5-6 Professional Support that outlined the major countries Australia exports to, the students were then paired and provided with a country to focus on and a search task to find the top 3 export items from Australia to the given country.